1. Why would you "save as template" rather than copy an existing email? 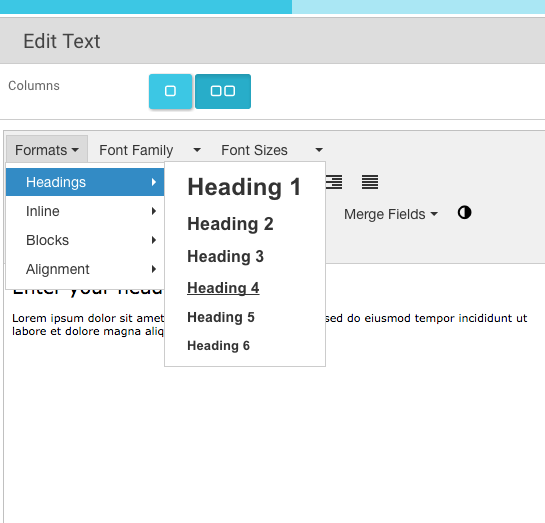 Saving an email as a template as one big benefit, any of the styles you custom created on the right hand side on save will be populated identically back to the left hand side blocks. So when picking a template you get the styling on your blocks. 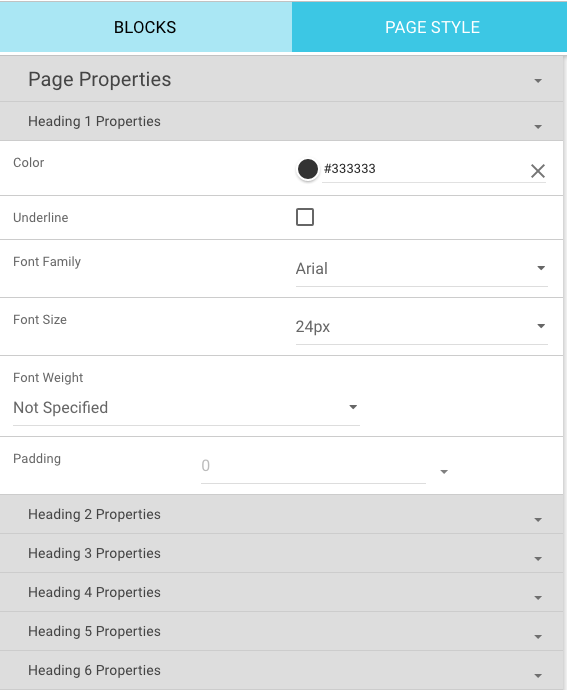 GatorCreator sets the size of your images to fit with the HTML widths, so a large image will be resized by HTML to fit correctly. However, if your image is large, for example greater than 600px wide, then GatorCreator shows a warning. This means the physical size of your image may be too big and resizing will help especially on the download of the image speed. If you know the HTML width size for the image is, for example 250px, then use the 'Edit image' section and you can set it to 250px width. 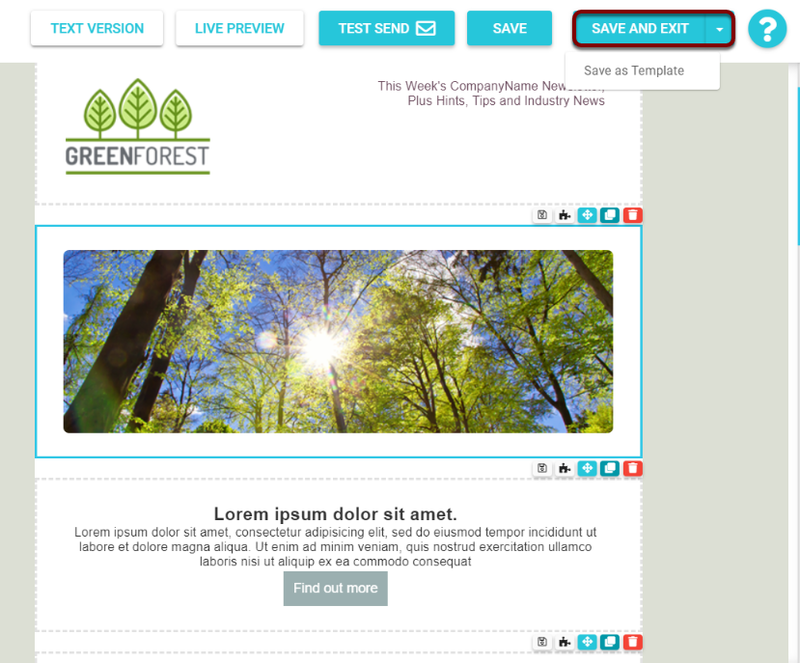 It will be resized for you and inserted back into the HTML correctly. Rounded corners is a feature of the style selection for images and buttons in GatorCreator. Under the 'Selected Image Element' there is an option called 'Rounded Corners'. You will see the image change in the design screen as you go. The apply all button only applies to the selected item styles. For example, if you pick an image/button then rounded the corners, then selected 'Apply All', a warning will appear before updating every button or image in your design. 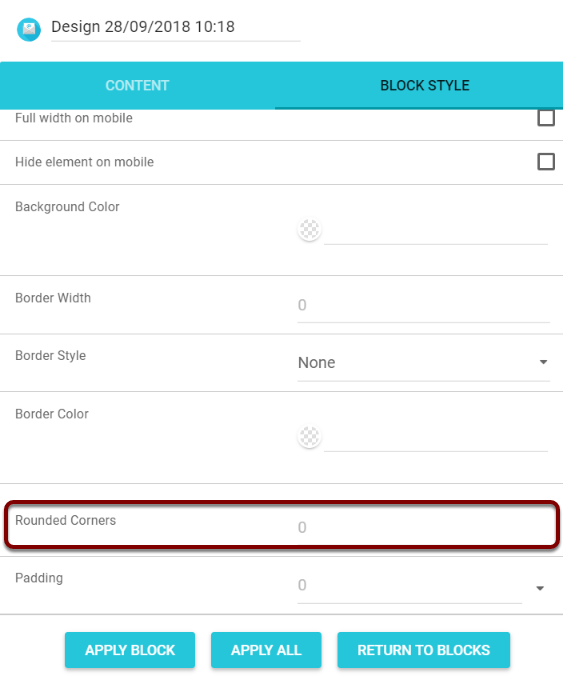 The 'Apply to Block' function applies the selected item styling to any item of the same type, in the same block. For example, if you use the navigation block and have three buttons, 'Apply to Block' will update all the buttons based on the styles of the selected button item. The styling on buttons can be set to look like text hyperlinks by setting the selected button background colour, text and underline feature. Then apply to all buttons in the block or all buttons in design. The caption image blocks allows you under the styles section to switch the images from left, right, top and bottom as required. To highlight a block of text in an email you can set the background text colour of the block, add some padding (say 10px) to all edges, then rounding the corners. This gives a good highlighted effect. Go back to Blocks and select 'formats'. This will bring up the heading options. 10. How do I save my email design as a template?